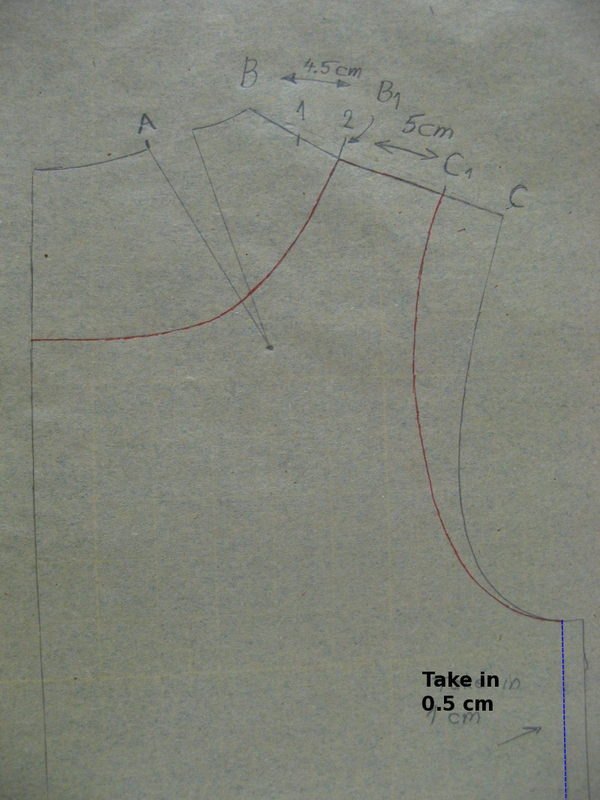 Step 3: Draw new shoulder: B to B1 is 4.5 cm; B1 to C1 is 5 cm. 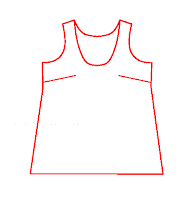 Draw a new neckline and arm opening. 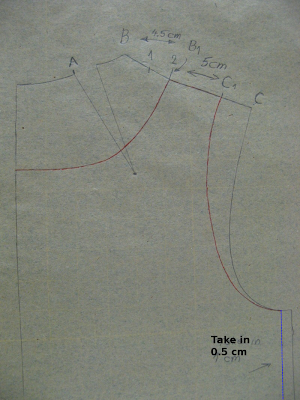 Take in 0.5 cm at the side seam. 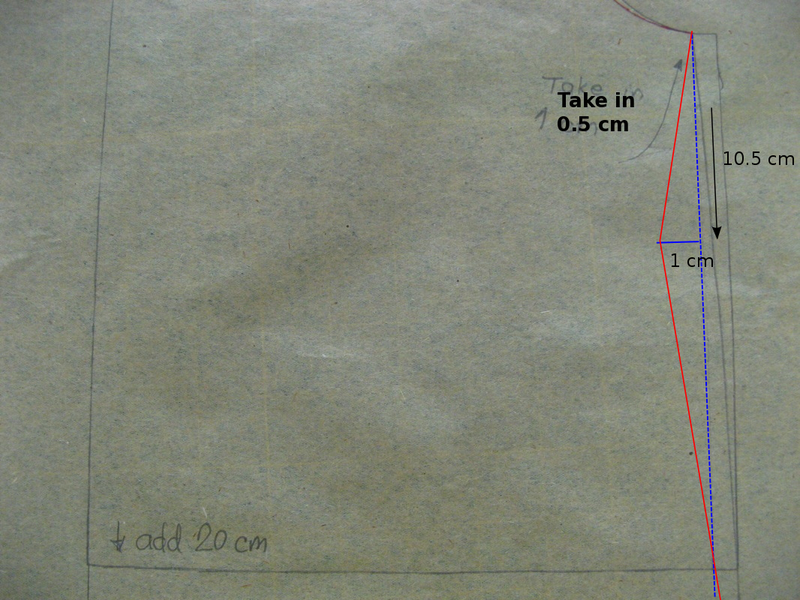 Draw a new sideseam parallel to the original (blue line on the pic above). Step 4. 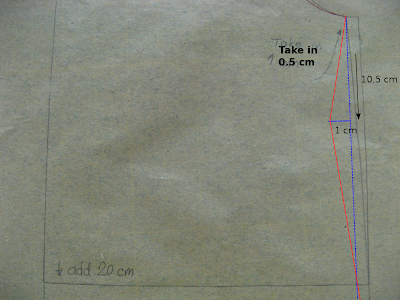 Add length (I added 20 cm from the waistline (just extending the sideseam and the midline by 20 cm). Now let's shape the sideseam. Draw a notch on the new side seam 10.5 cm down. Extend the notch 1 cm in - this is just for shaping. 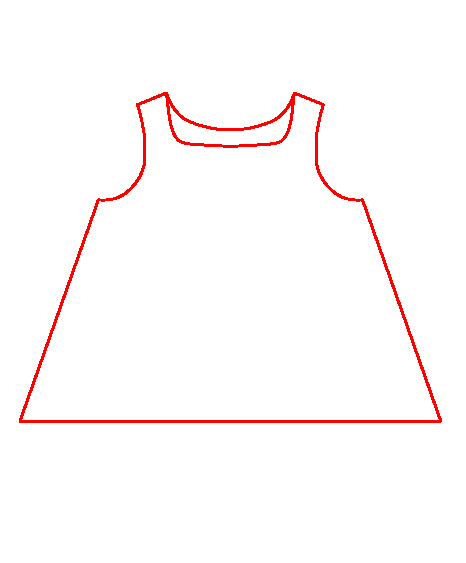 Draw the new side seam (in red) from the top of the side seam, to the notch and then down to the hem line. I added a bit of room at the hem - just about 1 cm from the original side seam). 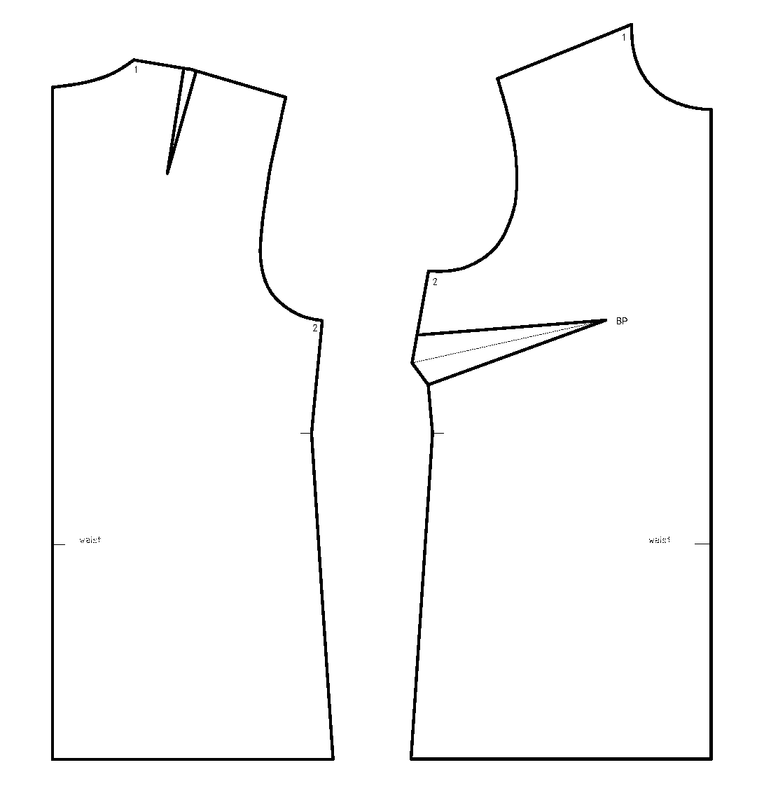 Step 6: make sure that the neck and arm curves are smooth over shoulder seams. Put front and back together at the shoulder seam and check. In this case I had to smooth a little bit (see blue line above).